CHARLOTTE, NC, April 11, 2019 /24-7PressRelease/ — Huntingtowne Farms Elementary School in the Charlotte-Mecklenburg School District is a Title 1 school where almost all of the approximately 750 students receive free or reduced-cost lunches. When school is out over weekends, holidays or other breaks, these students are left without the opportunity to eat lunch at school. 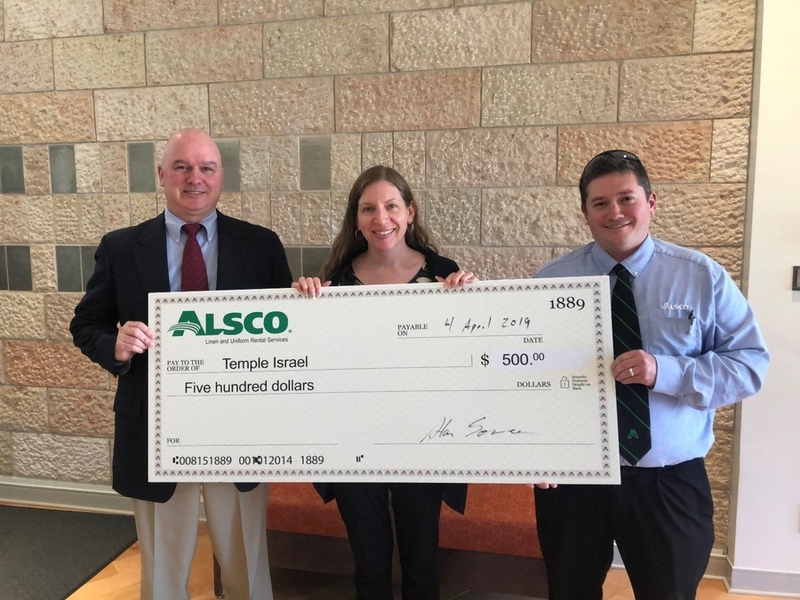 To ensure students don’t go hungry, Alsco is joining forces with Temple Israel to sponsor an annual food drive. The Alsco Charlotte branch applied for and received a nonprofit gift/grant through the Steiner Foundation, which Alsco created in 1969 to allow Alsco branches to become involved in and support nonprofit charities and projects in their communities. Food collected from the annual food drive will be distributed to the Huntingtowne Farms Elementary School through the Blessings in a Backpack program, which provides children with food for weekends and school breaks. Additionally, some of the food collected will be allocated to the local food pantry, so donations can be distributed to the entire community as needed.